When stars like Gwyneth Paltrow, Kylie Jenner, Bella Hadid, Salma Hayek and Cindy Crawford posted photographs of their bare faces, sans make-up, they weren’t denouncing the concept of vanity but redefining it. Exuding radiance from within is the new goal for many and entails cleansing your mind, not just your face. As supermodel Alessandra Ambrosio, considered one of the world’s sexiest women, says, ‘Feel good. Once you feel good, you look good, too.’ This belief is inspiring many to take healing holidays and move towards green living. The concept of a vacation with a purpose brought fitness enthusiast Nikhil Kapur and pranic healer Sharmilee Agrawal Kapur together, as business and life partners. While pursuing a masters in business administration, Agrawal Kapur had an idea for a luxury wellness getaway where the focus was on oneself. “A place with a 360-degree approach to wellness — where you can achieve your goals in a concentrated way, away from the stresses of daily deadlines. 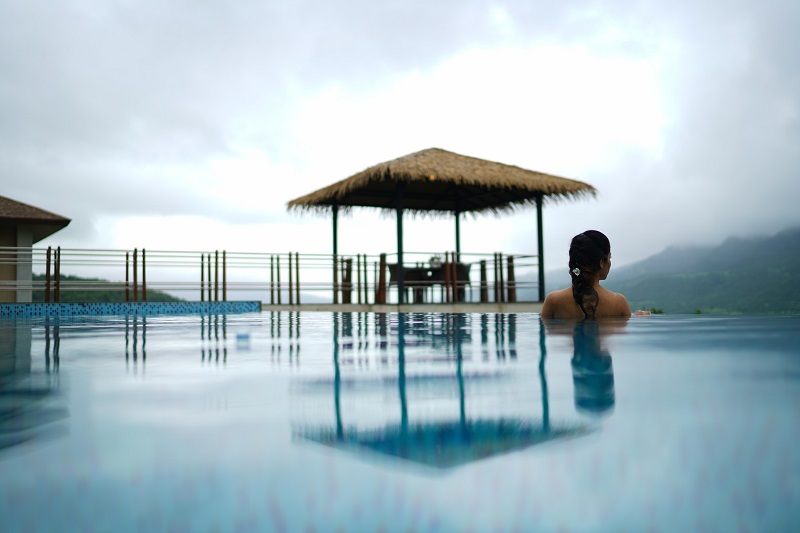 The food had to be healthy but gourmet, working in tandem with the workout and spa sessions to maximise the benefits and show results in as little as three days.” Atmantan, a sprawling wellness retreat nestled in the lap of Sahyadri hills, overlooking the Mulshi Lake near Pune, is their labour of love. The first glimpse of the aesthetically designed villas, cobbled pathways and lush vines enveloping the walls gives the impression of a luxury retreat rooted in nature. As I check in, a glass of fresh vegetable juice is offered, setting the pace for the day. Golf carts are available on request, but I am encouraged to find my way around the resort on foot. Rooms are equipped with all material comforts imaginable, except for coffee, milk, sugar and aerated beverages. Not without reason. Besides being fattening, the addition of milk in tea negates all the benefits of its leaves. Caffeine and soda can dehydrate and hinder the flushing out of toxins. Instead, there is a variety of herbal teas, packets of assorted nuts and some muesli bars. That’s when I start to realise that this is not your average spa resort; Atmantan means business. The restaurant follows the farm-to-table philosophy with vegetables and poultry procured from the resort’s own organic farms. No processed food — refined sugar, flour, salt, pickles or jams — is allowed in the pantry. Simple carbohydrates, like white sugar and bread, cause insulin levels to spike, leading to increased inflammation over time. “Inflammation produces enzymes that break down collagen and elastin, resulting in sagging skin and wrinkles,” adds Dr Manoj Kutteri, the wellness director. Slow cooking methods such as steaming, broiling, poaching, grilling, baking and sous vide are embraced to retain the nutritional value of the ingredients. 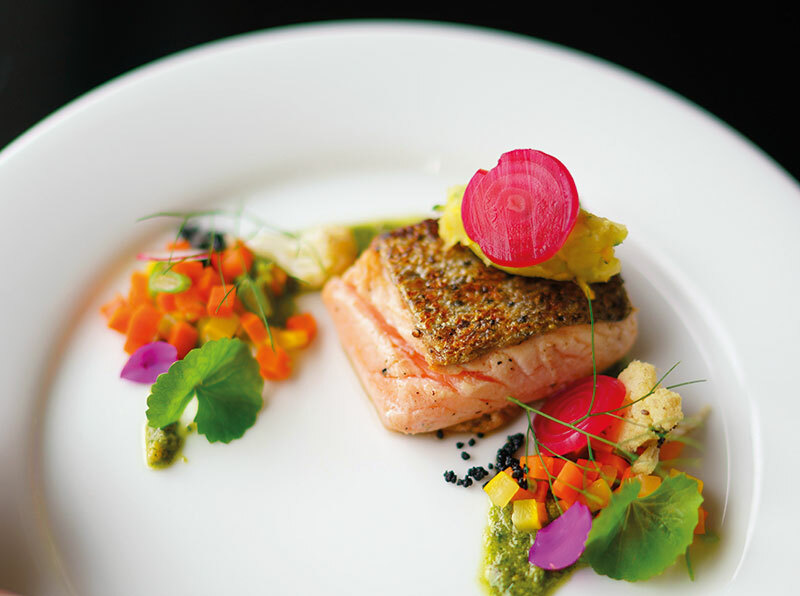 What comes on my small plate is a tiny portion of gorgeously plated organic fare sprinkled with edible flowers and herbs, all freshly picked from the chef’s garden on campus. The Lilliputian tableware is by design. “Once the guests get used to the smaller plates, they are more accepting of the ‘automatic’ portion control,” adds Kapur. The staff waits on me with utmost diligence but politely stops me from texting while eating. Being fully present and committed to one task is an indispensable aspect of mindful living and managing stress. After a couple of meals, my appetite adjusts to the food on offer and I am able to leave the table without craving for more. The epicentre of the resort, the wellness centre, consists of a spa, state-of-the-art gym, and meditation and yoga areas. The indoor heated pool uses salt instead of chlorine to purify the water. It all begins with a body-fat analysis and Ayurvedic consultation after which one decides the type of programme to follow. The idea is not only to lose weight or inches but also to boost energy levels. The exhaustive spa menu is a melting pot of diverse systems of natural healing — from Chinese medication and Ayurveda to Western massages. Once I am given a list of treatments to complement my wellness targets, I am firmly encouraged to take up a minimum of two physical activities per day. Zumba, bhangra, tai chi, yogic breathing, meditation, asanas, aqua aerobics and functional training leave me spoilt for choice. My fanciful notion that a healing vacation entails massages, eating and sleeping slowly slips out the window! As I head home after three days of caring about nothing but energising my body and mind, my biggest challenge is to find ways to continue prioritising my own well-being. Without a team of skilled professionals tending to my needs it is going to be an uphill, though not impossible, task. The trick lies in being mindful.